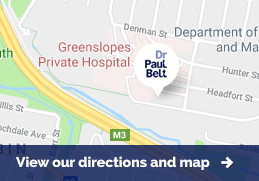 Please contact Dr. Belt’s rooms and his staff can answer any questions you may have. A personalised quote and information can be sent to you regarding your specific procedure. We would be happy to supply a quote, listing the full costs for your entire surgical journey with Dr Belt. Dr Belt does not offer personal finance as this is against the guidelines of the Australasian Society of Plastic Surgeons. It is also against AHPRA’s Code of conduct for doctors in Australia (8.12.3) to avoid "financial involvement, such as loans and investment schemes, with patients”. Depending on the procedure, refunds may be available through Medicare and Private Health Funds. Please refer to the specific procedure for more information. For more information on costs invovled please see our FAQ's page.